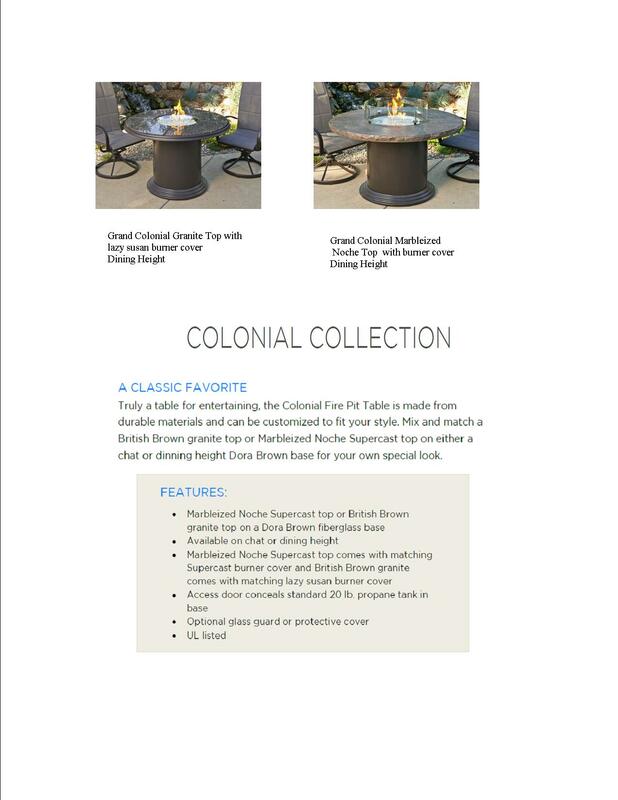 Truly a table for entertaining, the Colonial Fire Pit Table is made from durable materials and can be customi zed to fit your style. Mix and match a British Brown granite top or Marbleized Noche Supercast top on either a chat or dinning height Dora Brown base for your own special look. Stores 20# Propane Tank under the base. 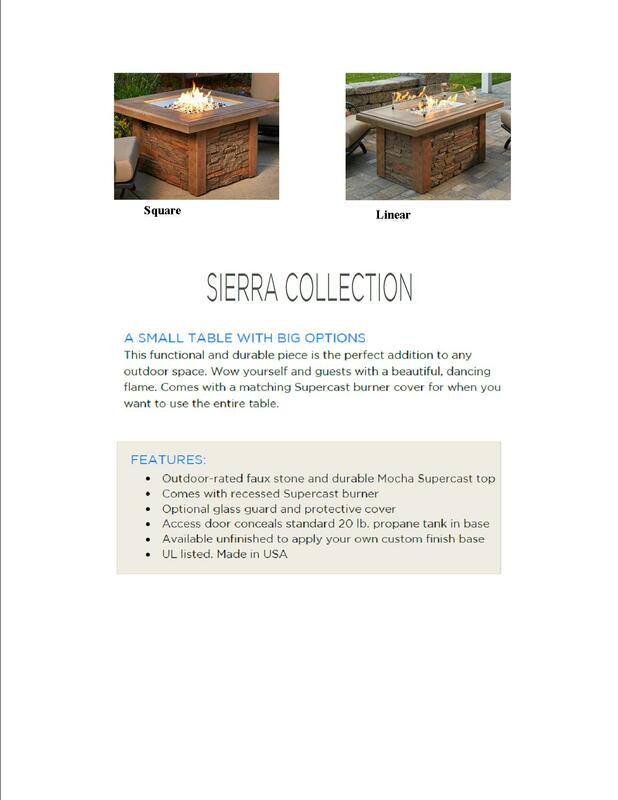 This functional and durable piece is the perfect addition to any outdoor space. Wow yourself and guests with a beautiful, dancing flame. 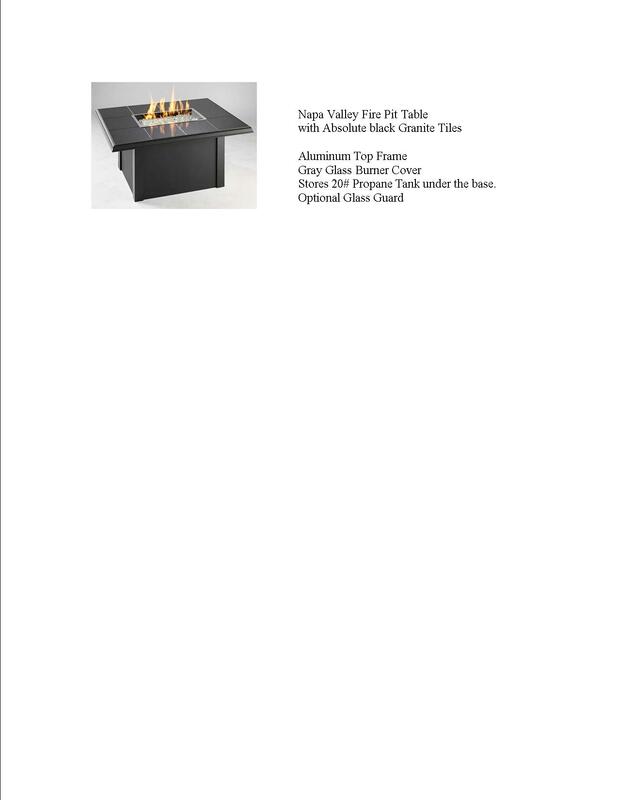 Comes with a matching Supercast burner cover for when you want to use the entire table.